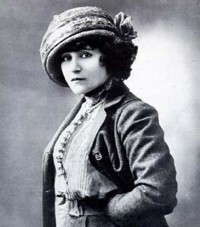 1910 Serialization of Colette’s The Vagabond begins. worth reading • WBUR’s Op-ED pages, Bill Marx gives us Blueprint for the Holocaust. As the 100th anniversary of the death of playwright Henrik Ibsen nears, Steven F. Sage’s new book Ibsen and Hitler argues that the dramatist unwittingly inspired the script for Hilter’s Final Solution. one book to rule them all . . . .
worth reading • the New York Times Book Review editor polled a couple of hundred prominent writers, critics, editors and other literary sages for their opinion of “the single best work of American fiction published in the last 25 years.” These sages came up with Toni Morrison’s Beloved. The NYT’s writer A.O. Scott gives us a long lovely essay parsing the question and the answers to that question – which I have reprinted here so you don’t have to login. Granted Beloved is a hell of a book, but is it our ‘BEST’? I fear that if they had opened the voting up to the general populace we would end up with completely different answers, and if they has asked US, even still other results. poll • Beth Quittman of the Book of the Day blog is taking the same poll to find still more results. audio • and still more . . . . Times Book Review editor Sam Tanenhaus discusses the list and the process with NPR’s Debbie Elliott.